Vocals vocals vocals!! If there is anything I can about last night, it’s vocals! 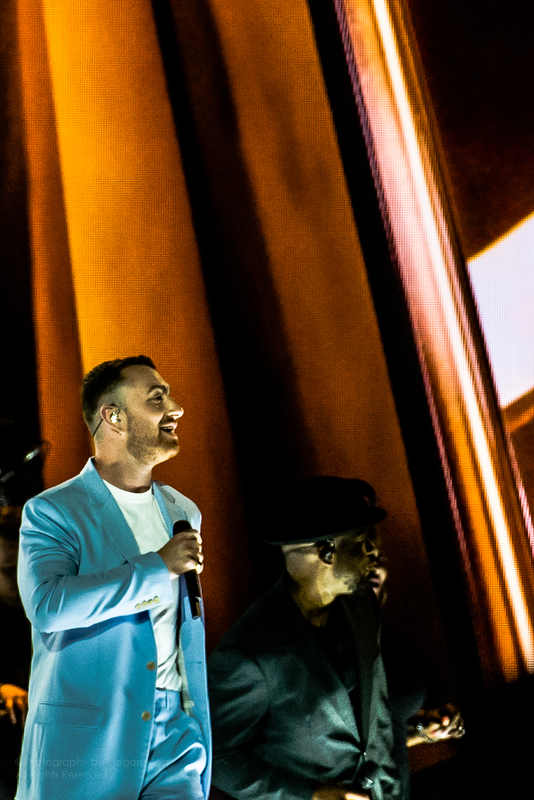 Auckland City was once again blessed with the legend that is Sam Smith. 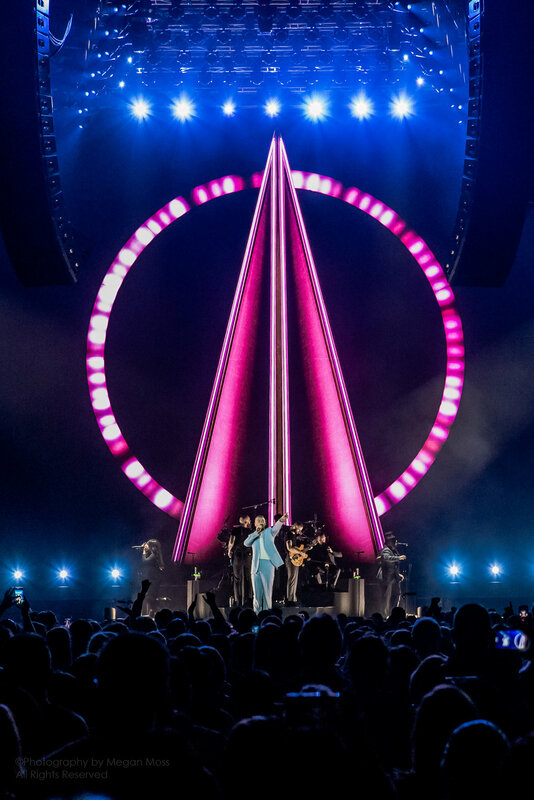 Judging from the waves of sobs and screams, as well as the consistent sing along vibes throughout Sam Smith’s concert last night at Auckland’s Spark Arena, it was clear that the fans were in awe of the English singer’s voice, the songs and his stage presence. What they may not have expected is how much they were in for. It’s not often that the floor plan for a concert almost steals the show. 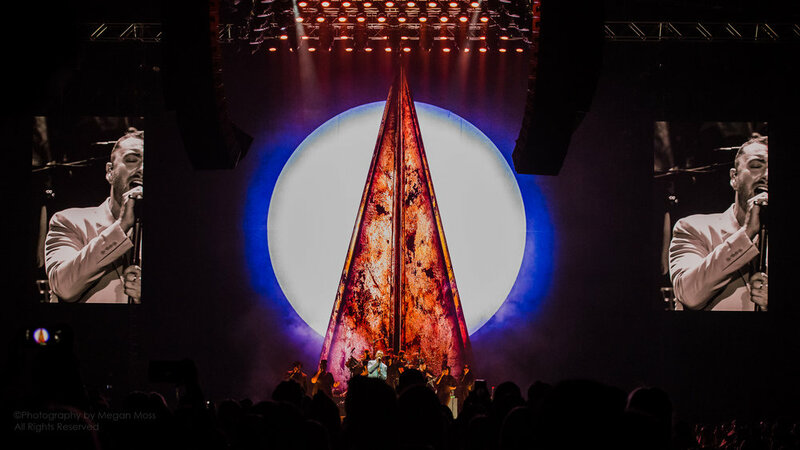 But boy was there a floor, staged with chairs that ran through out the entire arena, whilst looking up we were greeted with a thin triangle that jolted out to a point in front of the screen and tapered toward a towering pyramid shape in the back. It was simplistically and stunningly creative. We heard the band before seeing them, and the the roars emerged from all areas of the arena. And then the man of the hour came to the stage, pale blue suit and all, and did he look good. I’ve witnessed this man before and I can truly say that the second time was definitely the best. An extraordinary singer who reigns supreme from a high tenor to a effortless soaring falsetto. Smith captured everyone’s attention with his breakthrough smash Stay With Me, which, of course was part of his set list last night, along with blowing everyone away with his smooth dance moves on tracks like Restart, Money of my Mind and recent single, Promises. He added belting songs such as as Writing on the Wall from the James Bond flick “Spectre”, Too Good at Goodbyes and HIM which seemed to be a crowd favorite as he exclaimed that he was a proud gay man and that love is love! Last night’s show focused heavily the new and old tunes, containing nine of its 10 songs. Smith played about half of 2014’s “In the Lonely Hour” as well, filling out the rest of the nearly two-hour set with non-album material including Omen and Latch, from the collaborations with electronica duo Disclosure that first brought Smith to wide attention. Throughout the evening, Smith and his nine band mates used the stage to enhance the visual appeal of their performance, which I must say was a show on its own, the lead vocalist demanded the stage while Sam left for a wee outfit change. His constant love and appreciation for his band is so sweet to watch, as you can tell that they have been through it all with him, in every song, every note, you feel all their emotion with Sam and I think it’s safe to say that they are one of the world most in sync band on stage. 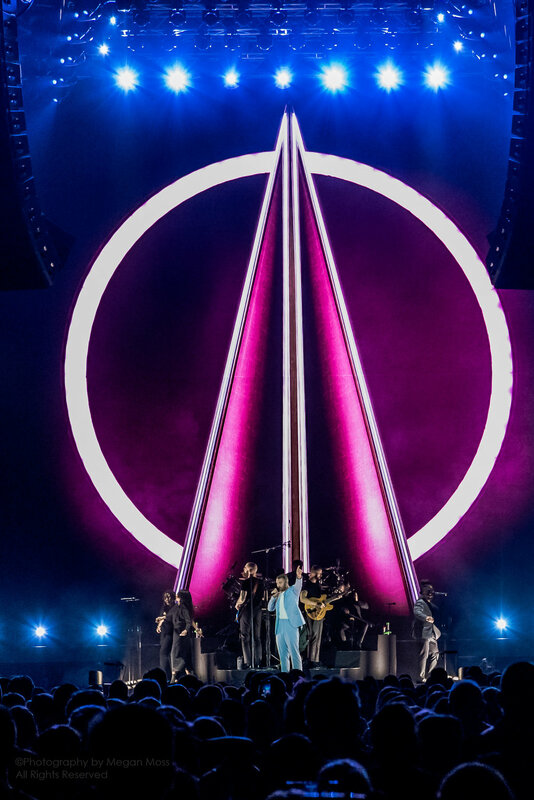 Things got even more elaborate in the encore, during the final number, Pray, Smith took time to profusely thank the audience for responding so passionately, one of several occasions during the night when he gave a nod of appreciation for their support. Smith is known for his exquisite stage presence, his interaction with the crowd, and his message that he conveys throughout the show, which undoubtedly doesn’t go unnoticed to anyone that has the opportunity to witness this man live. Smith has one more show tonight here in Auckland, and to anyone that is going, be prepared to have your voice missing the next day!